Start by taking out everything and making piles of Most used, Occasionally used and Never used. Get rid of everything, which you haven’t used until now or can live without. Instead of keeping everything in the closet, organise it seasonally. Keep those things up ahead that will be used currently and store away the ones for other season. 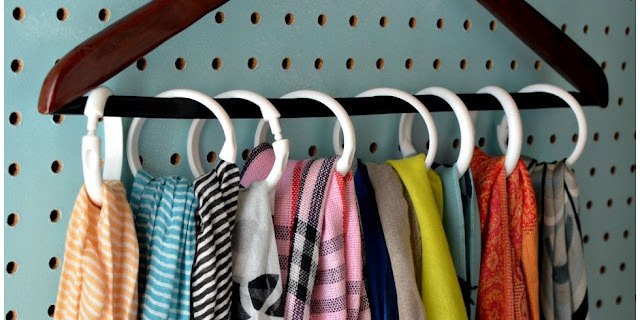 Curtain hangers are great for storing your scarves and stoles. Just remember to put the stole or scarf back in there. They are easily available in craft stores and home depots. Go metallic or choose your favorite color! 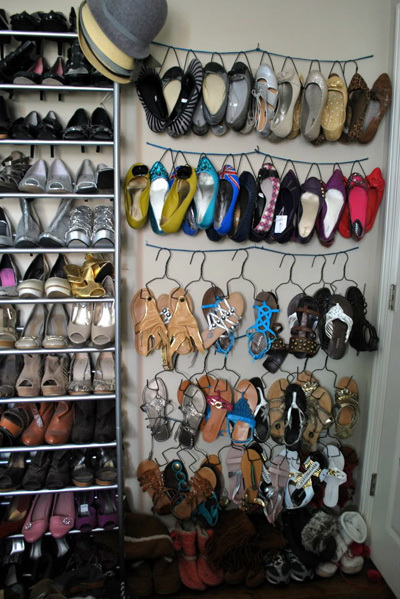 You can use DIY tricks to form special hangers for storing slippers and sandals. Will save quite a lot space without causing cluttering. You will never have to rampage your closet in search of the second sandal! There are various DIY tricks for storing your lingerie, nightwear, and socks in one drawer. You can use them to keep your delicates separately in an aligned manner. 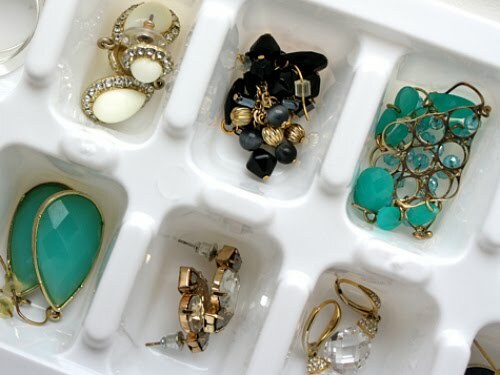 If you have extra or old ice trays lying around in the house, use them to store your jewelry, especially rings and earrings. Trust me, you will never have difficulty in finding the other pair when you are hurrying up in the morning! You can either create one using those fun DIYs or buy one from online shopping websites or off the street. Paint it in your favorite color to match the rest of the room or closet. 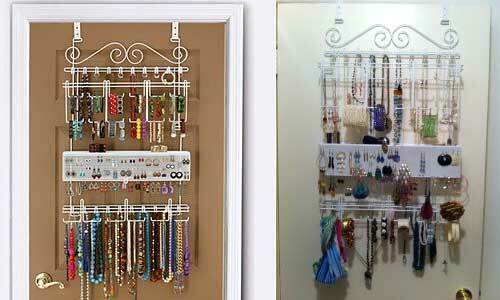 It is a lifesaver trick for you to store your necklaces. It will save time every morning. Also, it will keep your necklaces from getting tangled. Oh.. love all the tips. Using curtain rings for sorting scarf and stoles... M going to use it soon!